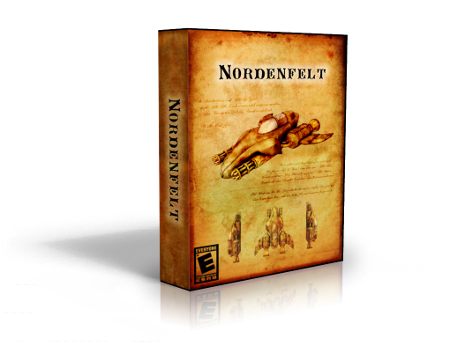 After a weekend filled with talks about the future I finally decided for a release date for Nordenfelt. Nordenfelt will be out on December 15th, 2014. After more than 4 years of development there is no excuse for procrastinating any longer. 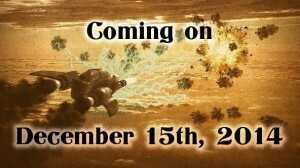 In December the game will be out in version 1.0, however it will look, play and sound like then. In preparation for the Desura/IndieDB presence I had to make a trailer for Nordenfelt. I’m quite new to the trailer/video maker club. So if you have some tips for improvement please tell me. Here is the new entry in Nordenfelt‘s weekly development log. Booting my new job, moving to another city and making a website for some extra money left no time for the game. Today was the first day I could work on Nordenfelt again. At the moment I’m integrating animations into the particle engine. The cool thing about a given engine/framework is that adding one more is a breeze. In most cases, the devil never sleeps. I’m looking forward to show you some explosions next week. The last update was exactly one month ago. And there is hardly any progress behind the scenes. What did I do during the last four weeks? Well, I wasn’t lazy. As mentioned in this post I started some traffic gain experiments for www.blackgolem.com. One of these experiments is regular posting. I don’t know if that’s the reason why traffic raised but it nearly doubled within the last month. There are many more Google searchers which arrive at the site. That’s cool. More visitors are always welcome. I can’t figure out exactly what boosted the figures but it’s great. On the other hand the experiments took also extra time. Therefore Nordenfelt’s progress dropped to 50%. Tweaking the editor for more fluent work took also some time. The rest went into coding new enemies (e.g. ships and new plane AI) and adding gameplay in level 1. Many changes under the hood, nothing to show. I don’t promise anything at this point but the game’s worker thread priority should increase within the next few days. But first I have to do my tax declaration. That’s something I really hate. Useful statistics are great when they serve your needs. But our tax system is just a dated bureaucratic behemoth which must be fed with fine grained figures to keep officials busy. Thank god I’m a small indie without income. The less $$$ the less declaration work. This article was cross-posted on www.blackgolem.com.